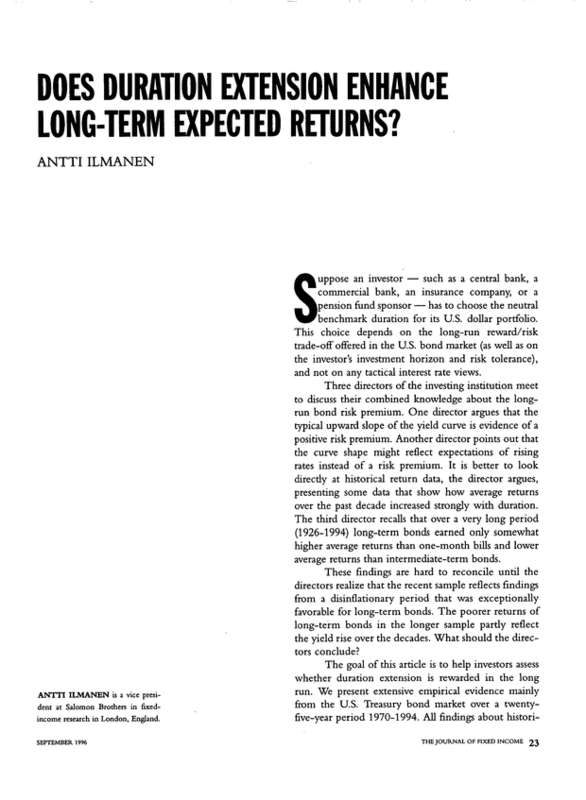 Does Duration Extensions Enhance Long-Term Expected Returns? A vice president at Salomon Brothers in fixed income research in London, England. You are going to email the following Does Duration Extensions Enhance Long-Term Expected Returns?